Longtime Richmond city councillor Harold Steves is seeking re-election. And three colleagues from the Richmond Citizens’ Association hope to join him. 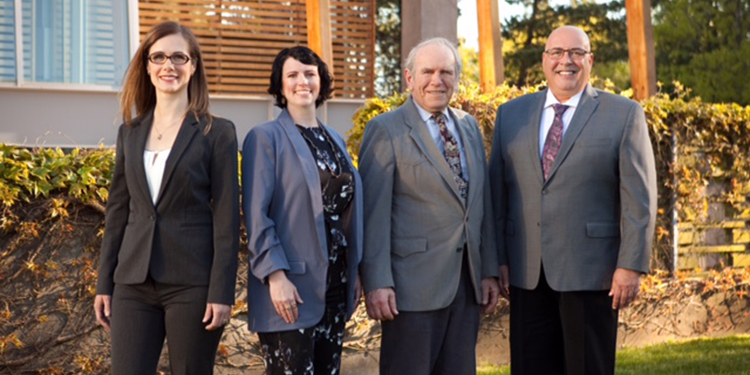 At a nomination meeting May 23, the party embraced Steves, Kelly Greene, Judie Schneider and Jack Trovato as candidates in the Oct. 20 municipal election. First elected in 1969, Steves has been a member of Richmond City Council since 1977 after serving a term as a member of the legislative assembly with the provincial-governing New Democratic Party. Born in Richmond, Greene has lived in the city most of her life. She enjoys the diversity of her community and the wide variety of activities and cultural events. Schneider has lived in many B.C. communities, as well as Paris, France, before making Richmond her family home five years ago. Active living is one of her priorities, and she has been a long-distance runner for 35 years. She also has a long history of involvement in the environmental movement, beginning when she was a teenager. Originally from Argentina,Trovato immigrated to Canada with his family as a small child and grew up in Richmond. A long-time drama teacher, he won the Prime Minister’s Award for Teaching Excellence. A founding father of the Agricultural Land Reserve, Steves is from one of the founding farming families in Richmond.